What’s the skinny on FSC? Can you see the forest for the FSC trees? When asked whether or not they care about FSC paper products, consumer response has been mixed. Some shrugged their shoulders, uncertain of exactly what FSC actually means, while others agreed vehemently, as if the question itself were ludicrous. While FSC is no doubt a worthwhile cause on the surface, some people think it’s not living up to its reputation. FSC, which stands for Forest Stewardship Council, is a group that ensures that materials used for paper and printing are responsibly sourced. Monitoring the steps from forest to printer, they set out to eliminate habitat destruction, water pollution, displacement of indigenous peoples and violence against people and animals that sometimes occurs within the logging industry. FSC paper is not the same thing as recycled paper. Recycled paper is made from 100% discarded paper, whereas FSC paper comes from trees from within a well-managed forest. Once printers become certified, they sell FSC as a remarkably valuable brand. For companies who want to send a green message, the FSC logo is powerful symbol of compliance. But in order to use the FSC logo, printers have to pay hefty fees for certification, on top of large annual fees. There are strict rules surrounding the use of their logo as well. Designers have to use the logo, and cannot use words to describe the product instead. For many designers, these stringent rules are problematic. Finally, in an economic downturn, many printers decided not to renew in order to cut costs, causing FSC to lose valuable members of its “sales team.” As good as FSC seems to be, it has its share of problems. According to many in the industry, in order for FSC to become an industry standard, the following issues must be addressed first. 1. Lack of awareness. Many in the printing industry do not know what FSC is and therefore it does not sell. Furthermore, there’s evidence to support the fact that consumers don’t know what FSC is either, and are therefore not interested in it. 2. 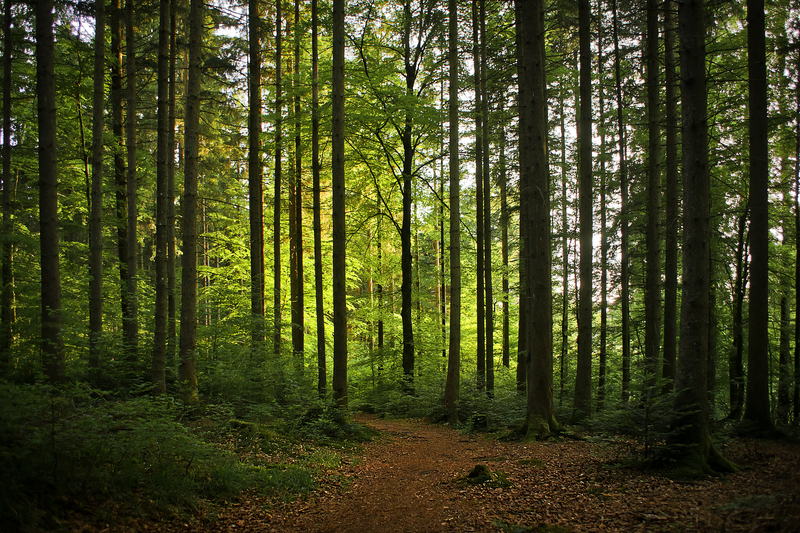 When compared to other green paper companies, FSC’s environmental benefits are less tangible. Most consumers know that they’re using fewer natural resources when they choose recycled paper. They know that vegetable-based inks are better for the environment, since they used less oil and they’re renewable. If an organization wants to reduce its carbon footprint and support a green economy, they know they can do so by using these products. Recycled, vegetable-based and renewable are terms that we understand. FSC, on the other hand, is not easy to understand. More importantly, its impact on the environment is not immediately obvious, nor observable. What all this means is that consumers who want to support a green economy will do so by buying products that offer the more perceptible difference. 3. FSC has chosen to alienate, rather than assist, its most active supporters during a difficult economy. FSC has grown dramatically since 2007. The economy then was strong – the environmental movement stronger. But as the economy took a turn for the worse, FSC continued to charge printers their exceptionally large annual fees for individual plant certification. Some printers appealed for a reduction, but FSC wouldn’t budge. The very same companies that had spent $10,000-$15,000 on certification were also responsible for selling FSC products. Without these printers, FSC would be virtually unknown. Interestingly, when some printers decided to drop their certification out of necessity, they didn’t notice any change in their sales. This begs the question, do consumers even care? To many, the costs simply outweigh the benefits. There’s no doubt that FSC has its heart in the right place. At its core, the organization strives to wipe out many of the forestry industry’s toughest problems. But its lack of obvious benefits (especially when compared to recycled paper), its hefty fees (particularly during a difficult recession) and its unnecessarily strict rules, make FSC a tough pill to swallow for many in the marketing industry. When compiled with the fact that consumers just don’t seem to care, you’ve got one tough sell.